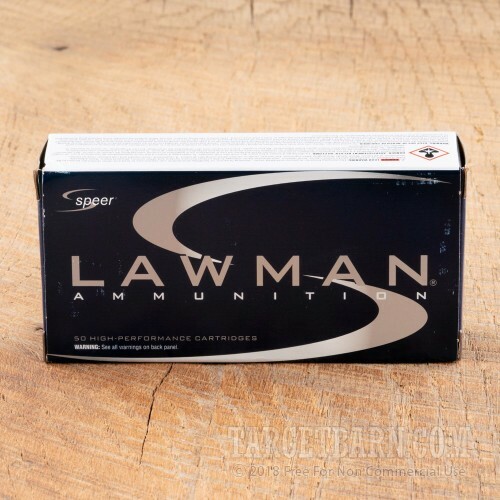 Located in Lewiston, Idaho, Speer Ammunition is trusted by law enforcement agencies nationwide. The Speer Lawman line was developed for use as affordable range ammunition. 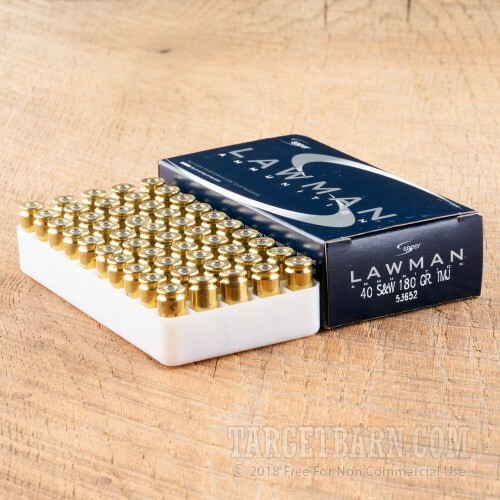 With excellent accuracy and ballistics similar to Speer's Gold Dot loads, Lawman ammo offers realistic practice with a realistic price tag. 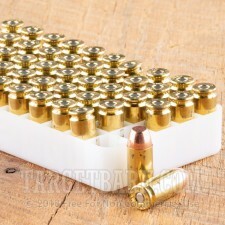 Each round features a 180 grain total metal jacket (TMJ) projectile. The lead core is encased in a seamless, one-piece jacket so powder gases won't burn lead off the bullet base. This design makes these rounds a smart choice for indoor range shooting, virtually eliminating toxic airborne metal contaminants. You get 1000 Speer Lawman 40 S&W ammunition. These economical rounds are perfect as practice rounds, delivering a muzzle velocity of 985 feet per second with a muzzle energy of 388 foot pounds. This is new production ammunition with reloadable brass casings and clean-burning boxer primers that contain no lead, barium or antimony.